Hydro Crunch 315-Watt CMH bulbs feature superior color quality and very crisp white light. Incredibly high PPF (photosynthetic photon flux) per watt per second light source. Low heat generated and enhanced lifespan. 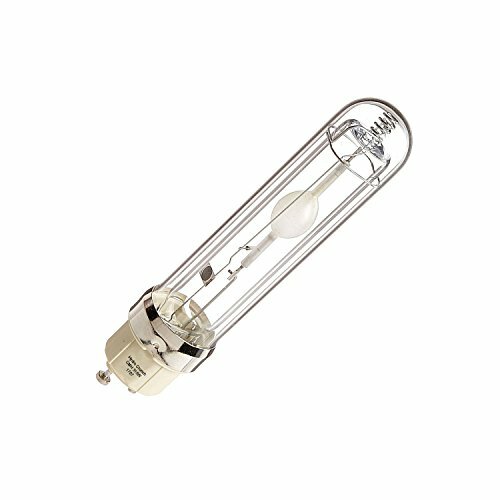 Hydro Crunch 315-Watt Ceramic Metal Halide CMH to Mogul Base Socket Adapter for 315-Watt CMH lamps to fit into standard 250 Watt to 1000 Watt mogul sockets. Initial lumens at rated watts after 100-hours of operation is 33000Lm. Rated average life 20,000 hrs. Temperature Color 3100K. 90 CRI (Color Rendering Index). PAR Value: 570 umol/s. 1-year warranty.PGZ18 To E39 Socket Adapter sold separately. Color temperature: 3100K, Full spectrum allows for optimal use for both flowering and vegging stage. Produces high output for their size making them a compact powerful & efficient light source.